Since the financial crisis in 2008, factor investing has attracted the attention of investment managers and asset owners. A factor-based investment portfolio can enjoy effective diversification and acquire factor risk premiums at lower cost than active managers can. In equity investments, “smart beta” investing has been established as a common investment style and the multifactor strategy has become the most popular in recent years. 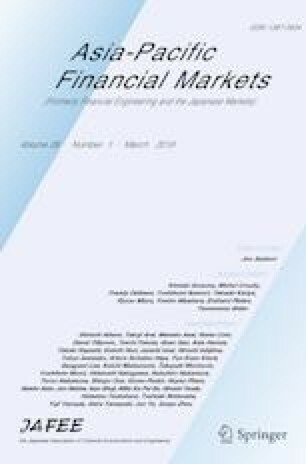 This study makes an additional contribution to empirical research for risk-based asset allocation in multifactor investing. We verified the effectiveness of the factor risk parity (FRP) strategy by constructing active equity FRP portfolios for four stock markets, Japan, the United States, United Kingdom, and Euro countries. For the Japanese market, four factors considered to be effective in the market were adopted for constructing FRP portfolios. For the other markets, we constructed FRP portfolios by equalizing factor risk contributions between the cyclical and defensive factors. We found that the FRP strategy is a prospective method for capturing factor risk premiums, since it can adequately allocate risk to factors that contribute positive returns in the active FRP portfolios. The research reported here was supported by JSPS KAKENHI Grant Numbers 18K017061 and the Norinchukin Bank, and the Nochu Information System Endowed Chair of Financial Engineering in the Department of Information and Computer Technology, Tokyo University of Science . The authors would like to express their gratitude to three anonymous referees, whose invaluable comments improved the paper. The views expressed in this paper are the personal opinions of the authors, and do not represent the views of the organizations to which the authors belong.